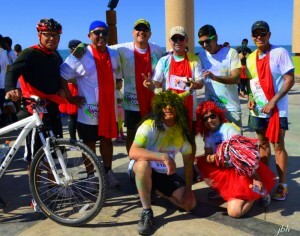 2nd Puerto Peñasco TomaColor 2015 Promises to Surpass Near Perfect 2014 With More Entries, More Prizes, Choice of 5 km or 10 km Runs. 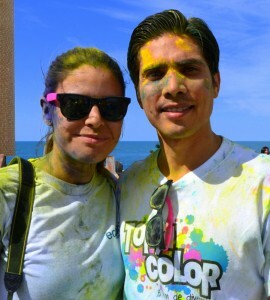 Known as a Color Run in English and called Toma Color in Spanish, it’s the fastest growing race event in history. 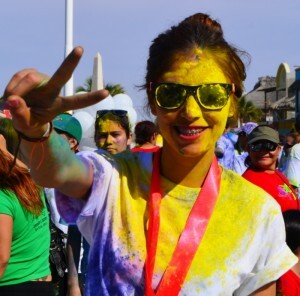 A 5km run where participants jog through 4 to 6 stations manned by a handful of staff who douse them with brightly colored, harmless powder throughout the course. Arrival at the finish line, each participant showered in a rainbow of colors, can’t help but turn into a party you have to see to believe. As far back as 2009 this 5km ultimate “fun run” was attracting hundreds of thousands of fun loving folks who like the social togetherness of staying healthy, but were not so keen on the competition part of the runs. The party atmosphere of Color Runs caught on almost immediately and then…then it went viral, exploding from thousands to millions—over four million around the world in the single year of 2013—with no signs of slowing. Latest figures show the Color Runs growing by millions more each year. Mexico, where it’s called Toma Color, is among the faster growing producers of this easy to love event. 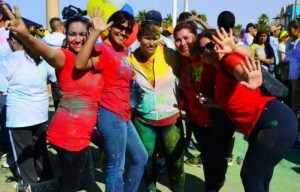 Last year, a group of Puerto Peñasco’s young, energetic—and altruistic—entrepreneurs got together and organized the 1st Annual 5km Toma Color Run. To say it was a success is an understatement. 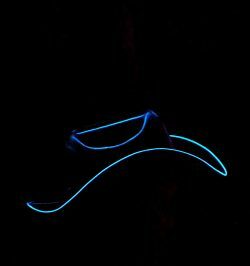 Their original plans were for 400 entries and the group had figured out how to raise a separate kitty, through sponsorships, to pay for all the expenses associated with running an event like this: brightly colored powder, protective sun glasses, commemorative T-shirt, a race registration number just like in the big competitions, etc. The sponsorships allowed the group to donate every centavo of the registration fees to their targeted charity, which last year was the Hemodialysis Center. How did that go? Well, they blew past their anticipated goal of 400 entries, then past 600, and finally had to cut it off at 800! 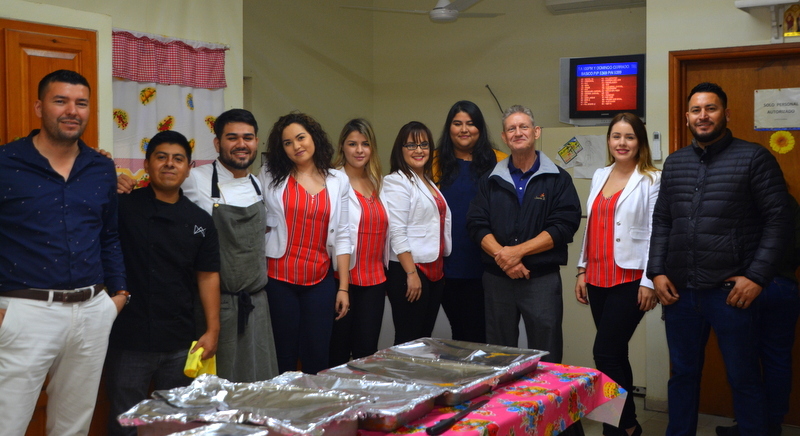 They raised $120,000 pesos for the center which played a big part in completing that project. This year the organizing group has chosen the C.A.M. 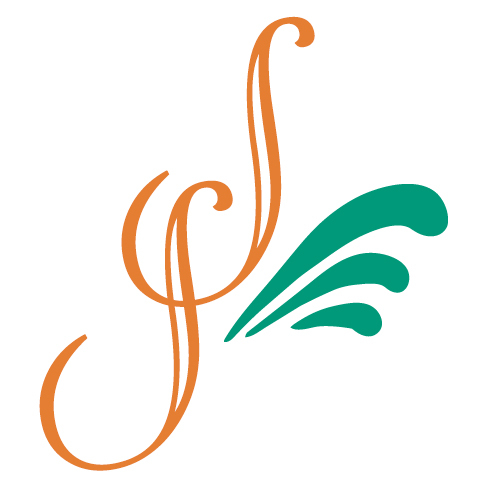 La Montaña School for Children with Special Needs as their target charity. Their plans are to rebuild the plumbing, bathrooms, kitchens, and improve the landscape and painting for the facility. 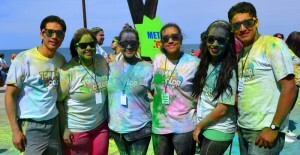 Toma Color 2015 starts at 8:30 AM Sunday April 12th, from the main plaza of the Malecon, and this year is even bigger than last having already broken the 1,000 registration mark. 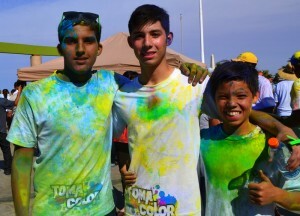 Toma Color is an event that gets more fun with the more participants who join in. Toma Color is a “Bucket List” event for sure, whether you’re taking colors as a participant or enjoying the organized craziness of those who are. It’s safe for you, your kids, your Aunt Bessie and almost all your clothes! In addition to the 5 km run, this year they’ve added a 10 km run because last year they attracted a lot of strong athletes and wanted to give them more of a challenge. The cost to register for either length of run is $250 peso per runner in a group of 10 or more; and $300 pesos per individual registration. Each registration includes a Toma Color logo T-shirt, sunglasses, race participant number, and you own bag of bright colored powder for the really big finish line party! 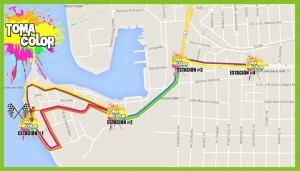 The course this year is much more runner and spectator friendly, as it will begin at the main Plaza at the Malecon and will end there as well. After everyone finishes, there is the traditional “explosion” of colored powder tossed into the air by the revelers who are already covered in colors, which has become the symbol of fun for this great event. 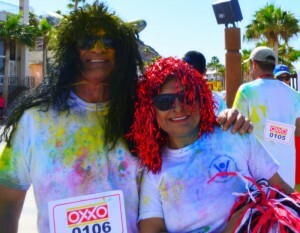 Call (locally) 638-388-8000, visit the web site for more information http://tomacolorpuertopenasco.org/; or email them at tomacolorpenasco@gmail.com. Be there if you can. You’ll help a great cause. You’ll have more fun than you can imagine. …Take your colors; Wear them proud; Wear them laughing all the way! 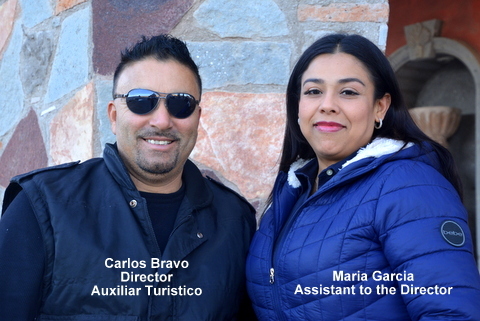 Ingeniero Mauro Tejeda Cervantes of Baja Auto Service is in High Demand by Luxury and Foreign Vehicle Owners.